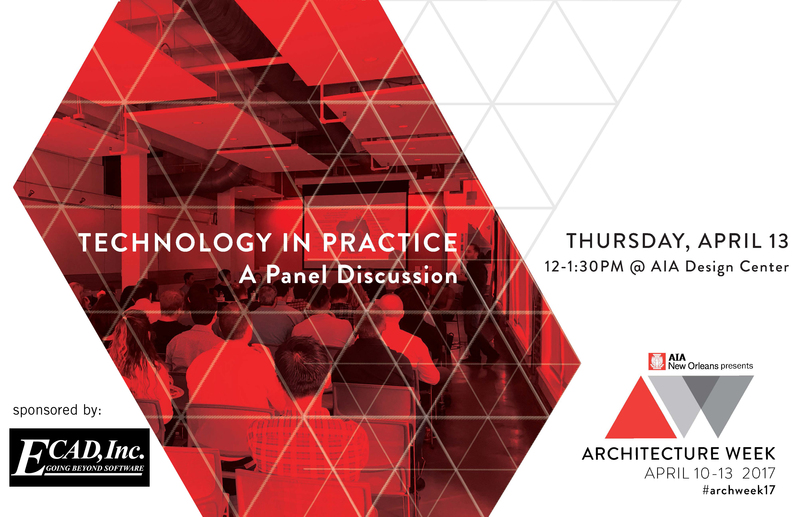 Join us for a lunchtime assembled panel of six technology enabled local architects and engineers as we dive into the realm of the AEC’s current digital practice. We will discuss the latest trends in efficient workflow practices, project management, and collaboration. This event is part of a larger series of program for Architecture Week New Orleans, April 10 – 14, 2017. Thanks to our generous sponsor, this event is offered for free to the public. Lunch will be provided.